We all “Race” for different reasons, for different people. But we also all “Race” because we envision a world without breast cancer. 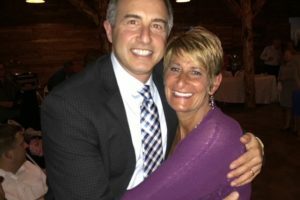 Komen Colorado talked with Barb Polman, a survivor and fundraiser, about why she takes part in Race for the Cure. Barb Polman with her husband. Barb Polman doesn’t come from a long line of women who have had breast cancer. Like many women who develop the disease, Barb had no family history. 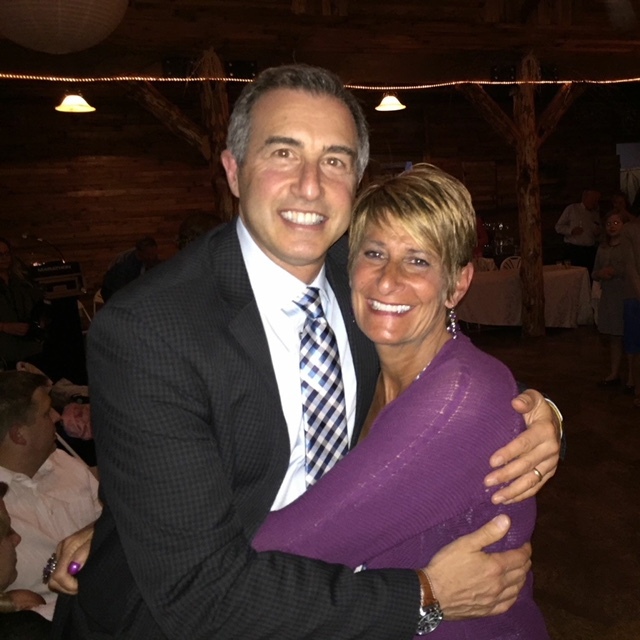 But in January 2015, she was diagnosed with stage 1b breast cancer. After Barb’s diagnosis, she felt moved to start taking part in Susan G. Komen® Colorado’s Race for the Cure®. While Barb said she participates in Race for the Cure to celebrate her survivorship, she also said she walks to honor other survivors, lost loved ones, and current breast cancer warriors. to raise $500 for this year’s Race, but by July she had nearly doubled her fundraising goal. Barb admits she doesn’t go to great lengths to fundraise. She just asks people she knows to make a financial gift. “I have the best family and friends who always contribute when I ask,” Barb said. Komen Colorado encourages its Race participants to do a little fundraising. Why? It helps fund grants that pay for mammograms, ultrasounds, treatment, and research for individuals who are underinsured or uninsured. During this grant cycle, Komen Colorado will help pay for 3,168 screenings, 679 diagnostic tests, and 47 people will get treated for breast cancer. Komen Colorado funded 11 nonprofits that provide these services. Barb encourages Racers to fundraise on social media. Walking with Barb this year are her husband, sons, daughters-in-law, granddaughter, and her two best friends, one who is coming in from California. Thank you for your support, Barb! Komen Colorado looks forward to having you at the 2018 Race.